A remarkable and wacky true story of the transformative thirty-year odyssey of a directionless and clueless seventeen-year-old who stumbles into the Air Force and finds himself working with a bunch of avuncular, jack booted ex-Nazis. He then staggers through college in a drunken haze and ends up in the top-secret inner sanctum of an intelligence agency. While “employed” at the agency in the late 1960s Larry is invited by one of his colleagues, a young naval officer, to visit Timothy Leary’s ashram for an LSD trip that opens up a hallucinogenic gate into the blissful silence of higher states of consciousness. The sublime serenity of this experience propels Larry out of the government into the counterculture in search of a more meaningful reality. 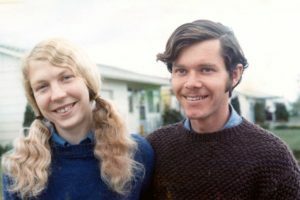 For the next twenty-five years he explores the world of hippie communes, remote mountaintops, yoga ashrams, sacred texts, meditation retreats in Swiss resorts and study of the Vedas while camping out in an industrial park in India. 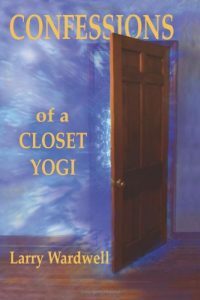 These unique events have inspired Larry to come out of the closet of kundalini and reveal his intimate experiences and conversations with Maharishi Mahesh Yogi. Maharishi, an extraordinary exponent of the eternal wisdom of the Vedas, was much more than the guru to the Beatles portrayed in the media. He enabled thousands of Americans like Larry to savor the inner tranquility of the transcendent; an experience for which Larry is eternally grateful.